Even before the release of Inxeba (The Wound) people seemed to be up in arms. While it released in January 2018 in South African cinemas, people had already been talking about it for over a year and it won dozens of awards at film festivals around the world and narrowly missed out on a nomination for an Academy Award… so why the outrage? Conservative South Africans claimed that the film exposes the secrets of Xhosa initiation traditions, but upon seeing the movie we realised the real trouble – it’s a love story between two male initiates. When all is said and done, the exploration of the traditional initiation process that young Xhosa men undergo isn’t what caused the controversy and calls for the film to be banned. 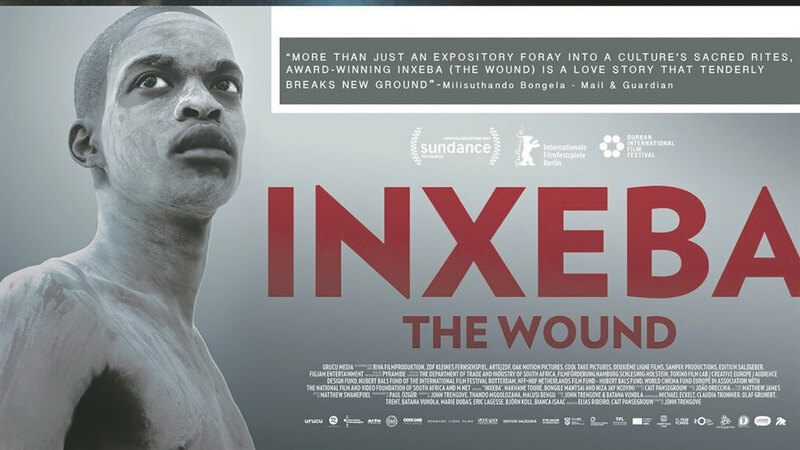 Instead, Inxeba explores the love affair between two male initiates, actively challenging how masculinity is represented in Xhosa culture and how oppressive and unyielding these rules can be when a Xhosa man refuses to abide by the customs of a profoundly traditional society. The film raises many questions surrounding what it means to be a gay man in a traditional Xhosa society and forces the viewer to confront questions of masculinity and manhood in the face of staunch tradition. While modern societies have come a long way in the acceptance of the LGBT+ community, traditional cultures are largely completely unaccepting or practise active avoidance of the subject. Set in the mountains of the Eastern Cape – the perfect surrounding for a bit of peaceful online pokies NZ in other sitautaios perhaps– during ulwaluko, a traditional Xhosa initiation, the two main characters Xolani and Vija conduct an illicit sexual relationship. Malusi Bengu, one of Inxeba’s scriptwriters, stated that the film’s intention was to raise the question of homosexuality in Africa and was triggered by statements made by African leaders such as Robert Mugabe that being homosexual was ‘un-African’. Aiming to question traditional models of masculinity, the film’s tense atmosphere is only exasperated by the boys’ isolation in the mountains surrounded by hypermasculinity. However controversial the film’s subject matter, the issues raised are monumental and the outraged displayed only highlights how far traditional cultures still have to come in order to be accepting and inclusive.